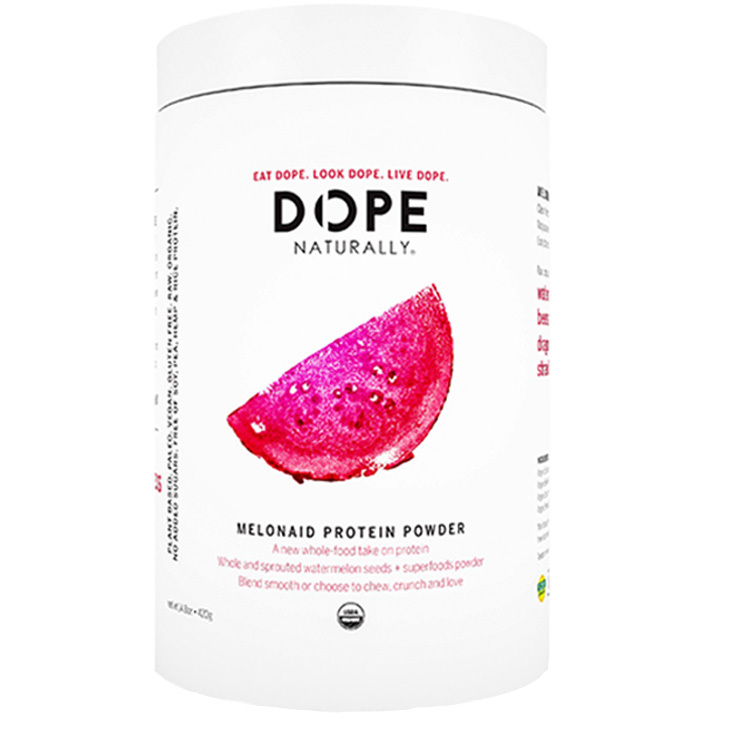 Dope Naturally delivers the perfect USDA Certified Organic whole-food protein with Melonaid, a plant-based powder crafted with a blend of superfood beets, dragonfruit, strawberries and watermelon seeds. Rich in amino acids, watermelon seeds not only give the body a strong, healthy feel, but also work to support a sense of proper digestion and make your skin look toned and vibrant. 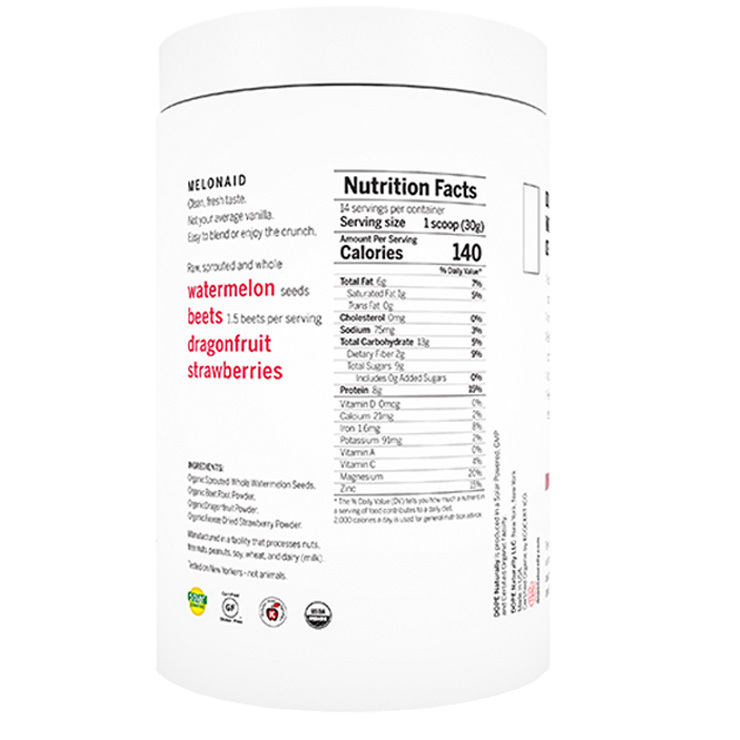 Can be blended into smoothies, or added as a topping to your favorite snacks.